A viral marketing video for the gun control lobby is making the rounds on the internet. The problem is ... Chemicals and gun powder haven't changed. We found that out in the tragic events in Boston this month. Fertilizer hasn't changed … we found that out in the Oklahoma City bombings. Detonation devices tied to pocket watches can be traced back as far as 1650. The advertisement indicates that the founding fathers had muskets in mind when writing the 2nd amendment. Arms means everything that's a weapon, not neccesarily just guns. To the founding fathers, "arms" meant cannons, knives, whathaveyou. That is the specific reason the second amendment states the word "arms". The term "arms" means "anything the government of the United States has at its disposal". Please don't make the unreasonable argument with examples like "What about nuclear weapons?" If we have people toying with nuclear weapons, we have more worries on our hands than gun control lobbyists or debating abortion or Obamacare The United States government also would not use a nuclear weapon on it's own soil against it's own people. At least, I hope they wouldn't. The ugly truth is ... Gun control only affects law abiding citizens. 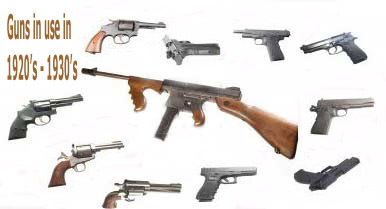 Most guns before 1934 (which you'd be surprised how modern looking they are) don't have serial numbers. Quite a few after the requirement don't have serial numbers and lest we forget ... it's fairly easy to MAKE one - even a custom fully automatic with 3D printed high capacity magazine that could be made into the shape of Mickey Mouse so it would go undetected by scanners. There's even a reality TV show dedicated to a custom gun manufacturer, called Sons Of Guns. Also, think of 9-11. Those "criminals" used planes as a weapon and killed more than 10 gunmen ever could much less one. The 2nd amendment wasn't designed to help the government control the people. The second amendment was designed to be a check and balance FOR the people in case of war and for the need of self defense in case the government created an unruly society with no remorse or humility. We live in such a society.